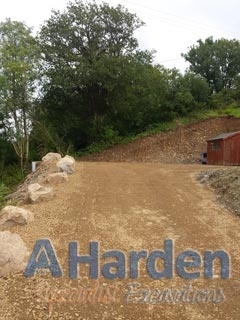 As we start 2016, one of our final contracts in 2015 involved driveway and car park improvement works to a large remote property in South Pembrokeshire. Having been approached by the client to discuss what their ideas were plus what we could provide in terms of staying in budget but maximising the work to give not only the most effective space solution but also something that looked smart when completed, we provided a full breakdown of costs with 2 final options for the project. After the initial consultation plus 2 extra site visits, the customer later wished to have an area of large fall on one side of the property improved to save land subsidance. 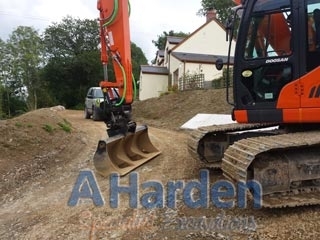 Although this was extra to the initial costings we ended up being able to bring the initial costs in around £1,000 under the original price whilst still providing everything originally outlined. 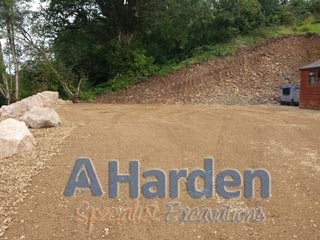 We were also able to provide extra finishing work and landscaping touches to the project for the same price. The project was finished on time, under budget with extras - and more importantly, we have another new delighted client onboard.